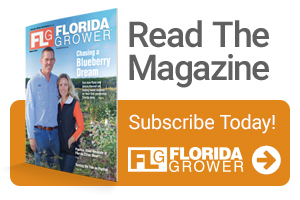 IMG Citrus, a longtime family-owned specialty agriculture operation based in Vero Beach, FL, has announced the acquisition of a 4,000-acre grapefruit grove in neighboring St. Lucie County. Terms of the deal were not disclosed as of this posting; however, assets of the sale are reported to be estimated at $40 million. The large investment increases IMG’s control of citrus land management in the Sunshine State by more than 75%. The parcel of land has been renamed Happy Food Grove after IMG’s main consumer brand Happy Food, which can be found in supermarkets across the U.S., Canada, Europe, and Asia. The company reports an additional 397 undeveloped tree acres will be home to its new grove redevelopment project, with 273 acres of citrus trees to be set within high-density planting blocks predicted to produce mature fruit within three years, and 124 acres of trees set within existing traditional blocks. In addition to the land purchase, the acquisition also included transitioning 17 existing grove employees to IMG Citrus.